1So what is the spiritual meaning of 444? I guess its my awareness, you see the universe sends us messages for important points in our life, we tend to ignore these numbers, sometimes we might see this number pop up throughout the day. Some of us might not see this number at all, I am sure its all do with our awareness and level of consciousness. What should we do when these special numbers show up in our lives? We should embrace these messages from Source and let it flow through you, make it part of your physical reality, after all you are Source experiencing itself as a physical vessel. There might be particular words that may have resonated with you in some way or could be specific way you are feeling about something. When you feel you are ready to know this message your subconscious mind will be guiding your conscious self to understand and make sense to you. 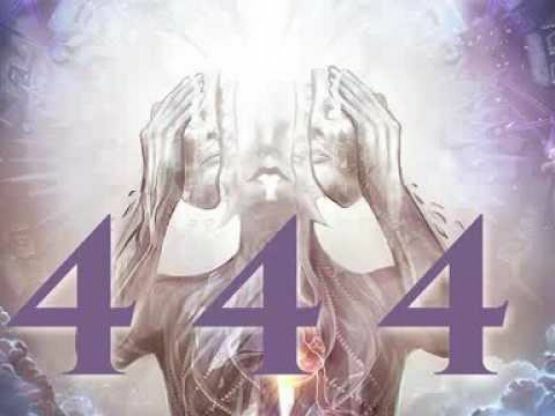 444 means “impecability” … to me… when I see it I know I am in alignment or need to be… It is a reminder for me to be the best i can and that I am the best that I am.